Data sparsity has been a great challenge of data-driven applications. It is essential to explore the availability of other side information that can be utilized for alleviating this problem. 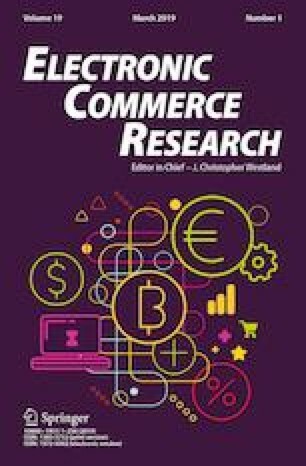 This study proposes incorporating facial attractiveness embedded in user photos to boost recommendations in the context of online dating site, aiming at demonstrating the possibility of utilizing image features for increasing data richness. Specifically, subjective and objective grading methods are proposed to extract the facial attractiveness from user photos. A user network is then constructed, and a link prediction method is proposed to incorporate the extracted facial attractiveness in the recommendation process. Evaluation conducted on a real-world dataset shows that the proposed CNAF method is effective in increasing the prediction accuracy for the cold-start users. In particular, the prediction errors of the proposed CNAF method are on average 8.68%, 8.79%, and 8.71% lower than the systems using the Adamic–Adar index, resource allocation index, and preference attachment index respectively. The proposed CNAF method also maintains a high recommendation diversity. We gratefully acknowledge the funding support from the National Natural Science Foundation of China (Grant 71571073 and Grant 71601081), the Guangdong Natural Science Foundation (Grant 2016A030310426) and the Fundamental Research Funds for the Central Universities (Grant 2017BQ048). Geiler, P., Renneboog, L., & Zhao, Y. (2018). Beauty and appearance in corporate director elections. Journal of International Financial Markets, Institutions and Money. https://www.sciencedirect.com/science/article/pii/S104244311730522X.